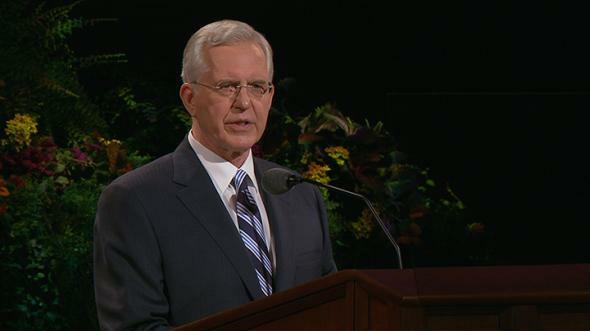 Stake presidents have been called under the same inspiration under which the General Authorities were called. I pray for these, my beloved brethren, that the Spirit of the Lord will rest upon them. It now becomes my pleasure to share with you a few remarks. First, thank you for being here. I’ve never seen anything like this. I should have brought my binoculars to see how you in the upper balcony look. I’ve counted five empty seats in this entire hall. What a pleasure it is to be here. 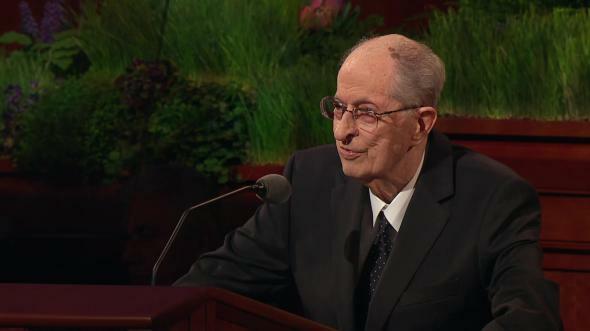 My brethren, what a wonderful thing is the priesthood of God. There is nothing to compare with it. It is received only by the laying on of hands by those in authority to bestow it. In this dispensation, that bestowal goes back to John the Baptist and the Lord’s Apostles Peter, James, and John. 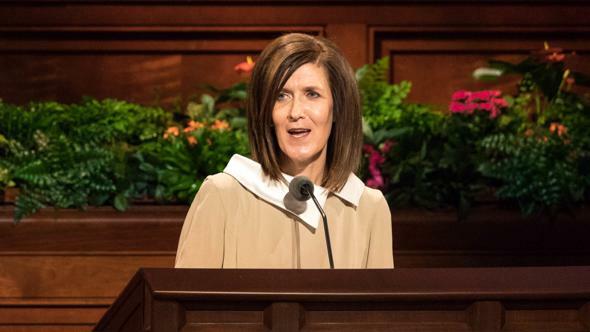 They came to earth and physically laid their hands on the heads of Joseph Smith and Oliver Cowdery and with audible voices spoke words of bestowal of this wondrous power. Since then every man who has received it has done so through the laying on of hands by one who received it in turn in the same manner traced back to its original bestowal. It is classless. 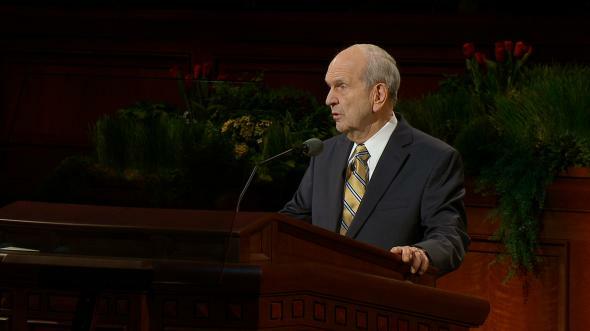 Every worthy man, regardless of nationality, ethnic background, or any other factor, is eligible to receive the priesthood. His obedience to the commandments of God becomes the determining factor. Its bestowal is based only on worthiness before the Lord. With it comes the right and the authority to govern in the Church of Christ. I recall the experiences I had long ago when I was a member of the Council of the Twelve. 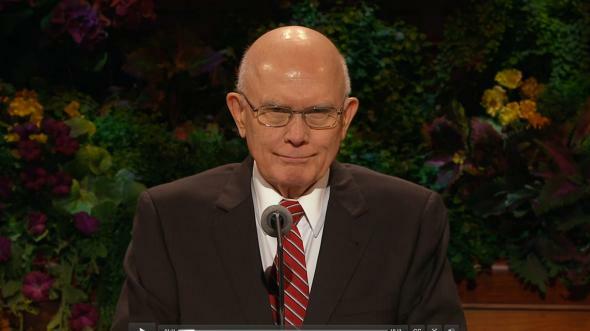 I attended a stake conference where the president was a man of wealth and affluence. He was very successful by the standards of the world. He lived in a magnificent home. He met me at the airport in a beautiful car. We had lunch at a first-class restaurant. And yet he was humble in his office, anxious to learn, and ever willing to do the right thing in administering the affairs of his stake. I subsequently went to another conference. The president met me in a car that had seen many seasons. We stopped at a fast-food place for a bite to eat. His home was extremely modest—neat and clean and quiet but not richly furnished. He was a carpenter by trade. He had none of the fancy things of the world. 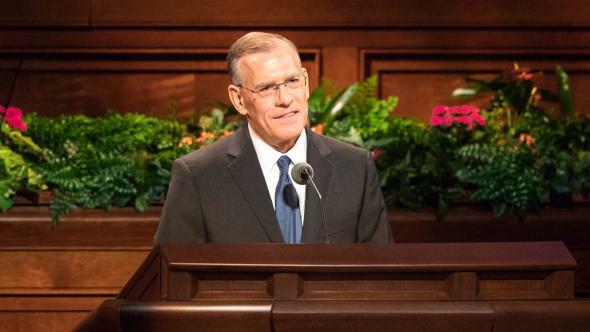 He, too, was a wonderful stake president doing his duty in a remarkable way. He was excellent in every respect. 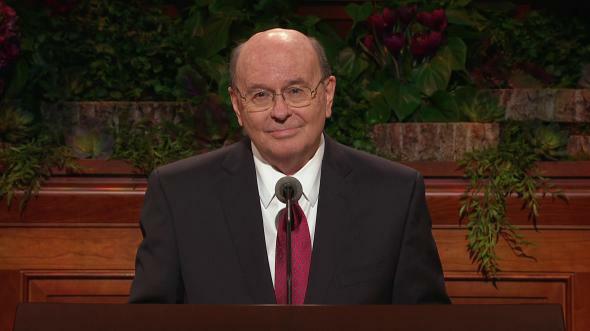 Such is the wonder of this priesthood. Wealth is not a factor. Education is not a factor. The honors of men are not a factor. The controlling factor is acceptability unto the Lord. All of the Authorities who are here tonight could testify that in the reorganization of stakes they have had remarkable and inspiring experiences. 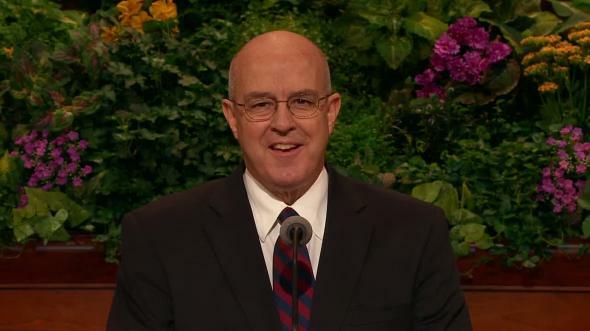 I recall being assigned to reorganize a stake about 40 years ago. The president had suddenly died. 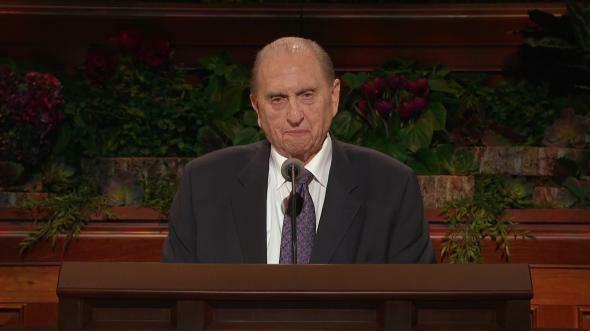 The Brethren asked me to go down and speak at the funeral and reorganize the stake. I had never done this before. 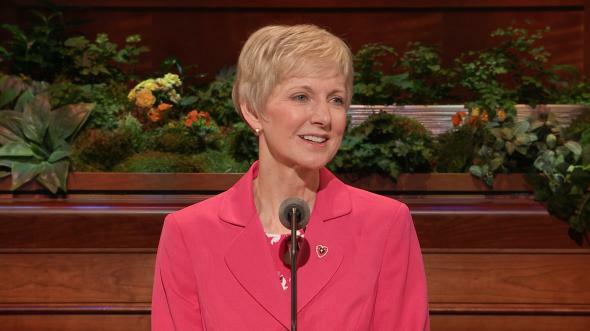 I was new as a General Authority. I was to be all alone. When I arrived, I was taken to another town, where I participated in the funeral service. 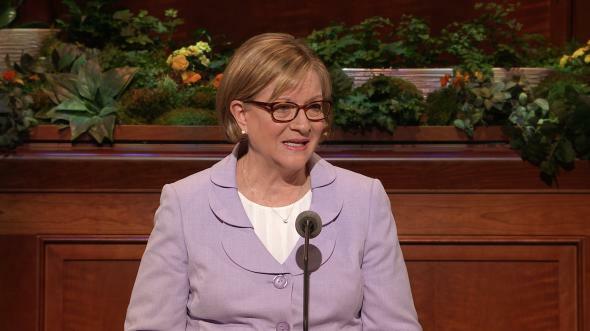 I asked all of the stake officers and the bishops to remain after the service and announced that a reorganization of the stake would take place the next evening. I said, “Let’s go see him.” We drove and went to the hotel where I would be staying for the night. 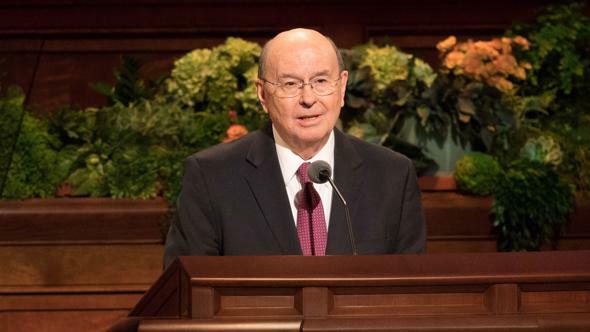 Here I was, having interviewed all of these brethren and having not found one that I considered worthy to preside and having scheduled the reorganization for the next evening. He came to the hotel. The conversation that followed was most interesting. 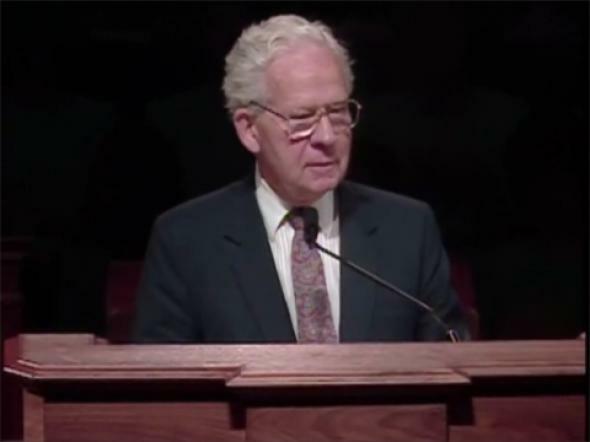 He was a graduate of BYU in petroleum geology. He worked for a big oil company. He had served elsewhere in positions of responsibility in the Church. He knew the program of the Church. He had served a mission. 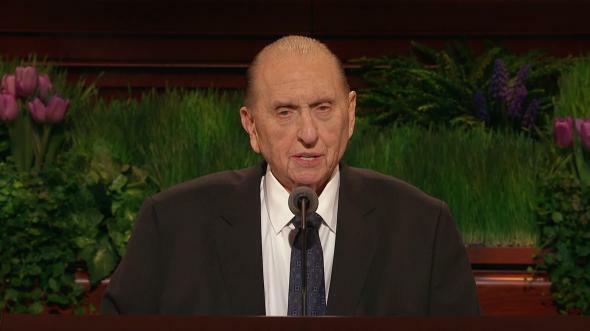 He knew the gospel. 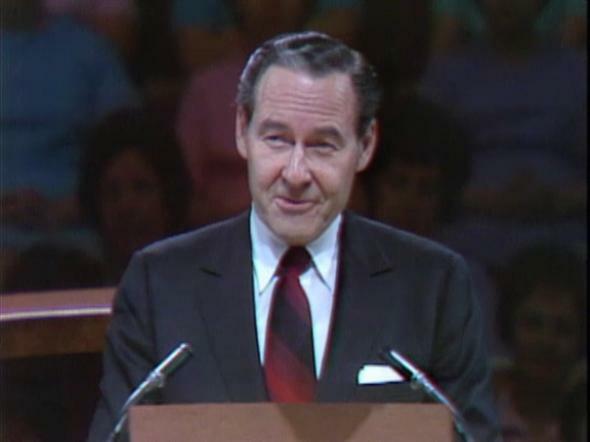 He was mature in the Church. And the territory for which he was responsible as an employee of the oil company was exactly the same as the territory of the stake. I told him we would telephone him in the morning and excused him. 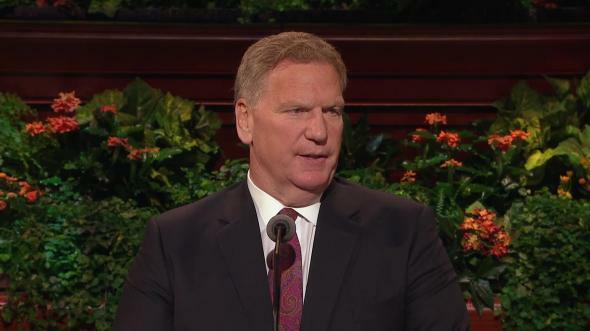 The mission president went on his way, and I went to bed. Ashamed of myself for troubling the Lord again, I went to bed and fell asleep. 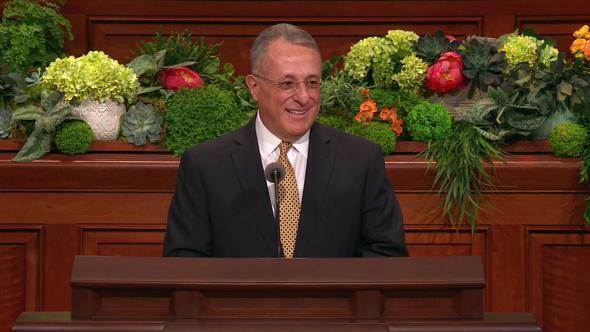 I phoned the man early the next morning and issued to him a call to serve as president of the stake. I asked him to select counselors. 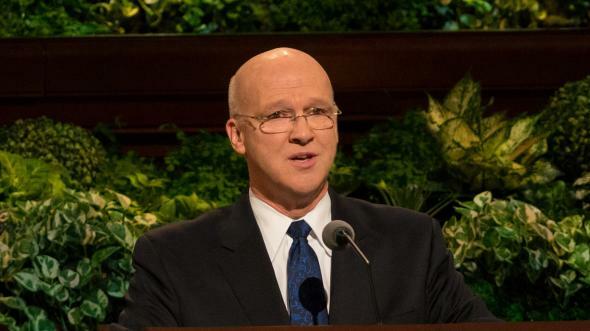 That evening when people gathered for the meeting, there was much speculation as to who would be the stake president, but no one even thought of this man. When I announced his name, people looked at one another for a clue to discovering who he was. I had him come to the stand. I announced his counselors and had them come to the stand. Even though they did not know him, the people sustained him. 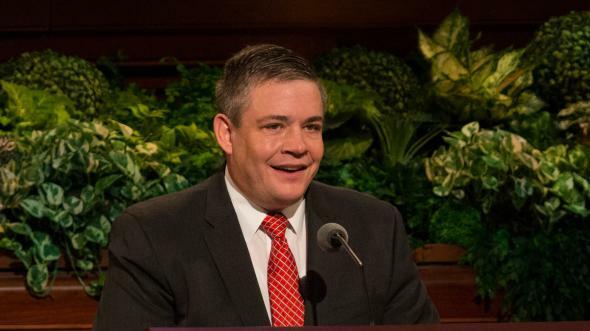 Things began to happen in that stake. 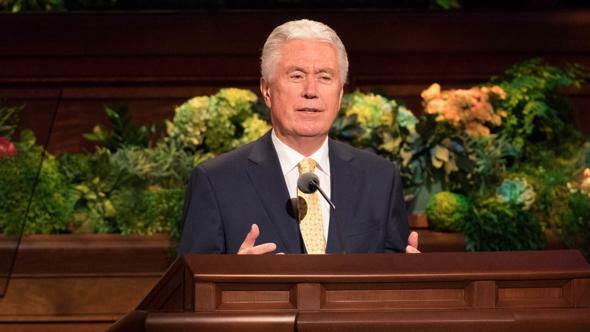 The people had known for a long time that they needed a stake center, but they had been uncertain and argumentative as to where it should go. 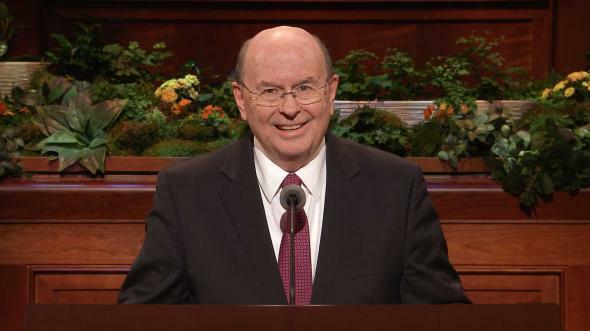 He went to work and within 18 months had a beautiful new stake center ready for dedication. He unified the stake. He traveled up and down, meeting the people and extending his love to them. That stake, which had grown tired, came to life and literally bubbled with new enthusiasm. It stands as a shining star in the large constellation of stakes in this Church. 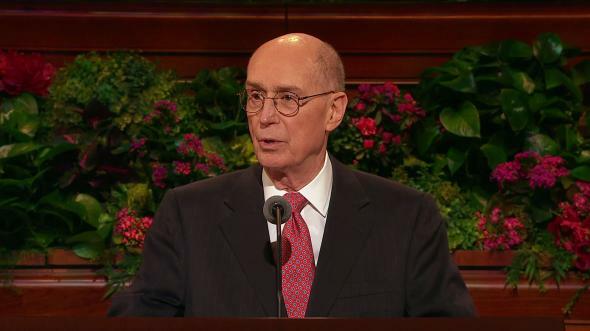 Brethren, I can testify to you that revelation from the Lord is made manifest in the naming of a stake president. 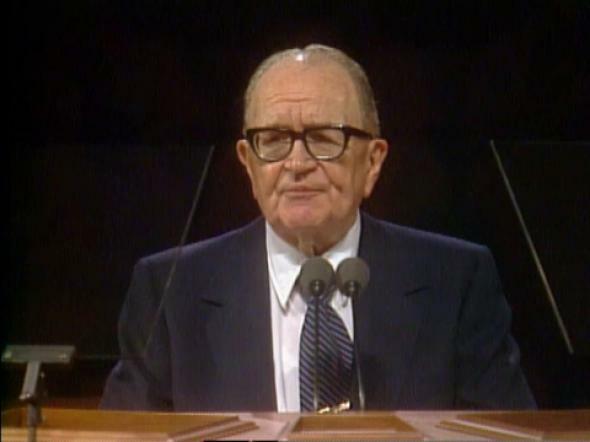 I once spoke in this meeting on bishops, and tonight I wish to say a few words about stake presidents. The office came into the Church in 1832. Joseph Smith, the President of the Church, was also stake president. When a new stake was organized in Missouri in 1834, this pattern was changed, with officers drawn from the ranks of the priesthood. This is an office that came of revelation. The organization of a stake represents the creation of a family of wards and branches. The program of the Church has become increasingly complex, and the demands upon stake presidencies have grown. Smaller stakes have been created. We now have 2,550 stakes in the Church, with more approved for organization. 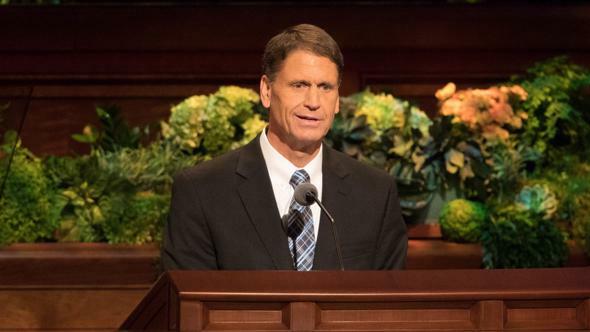 The president of the stake is the officer called under revelation to stand between the bishops of wards and the General Authorities of the Church. It is a most important responsibility. He is trained by the General Authorities, and in turn he trains the bishops. It is most interesting to me that we have 17,789 wards in the Church with a bishop in each. They are scattered over the earth. Their members speak various languages. And yet they are all alike. You may attend Sunday meetings in Singapore or Stockholm and the service will be the same. Think of the confusion we would have if every bishop followed his own inclinations. The Church would literally fall apart in a very short time. 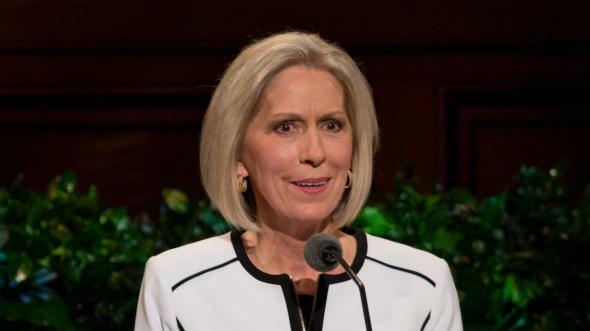 The stake president serves as an adviser to the bishops. Every bishop knows that when he has to deal with a difficult problem there is one readily available to whom he may go to share his burden and receive counsel. He provides a secondary measure of safety in determining those worthy to go to the house of the Lord. Bishops are very close to their people. They live with them as neighbors. Sometimes they do not have the heart to refuse to grant a recommend even though the patron’s worthiness may be somewhat in question. But the stake president also interviews. 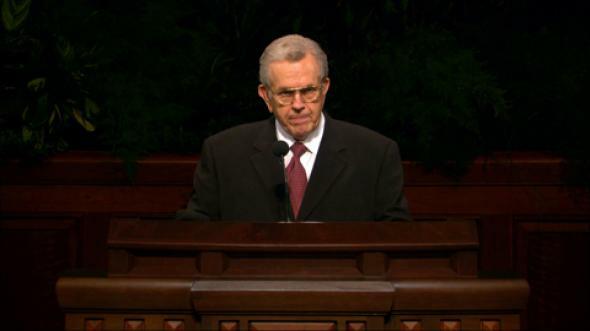 Until Wilford Woodruff’s time, the President of the Church signed all temple recommends. 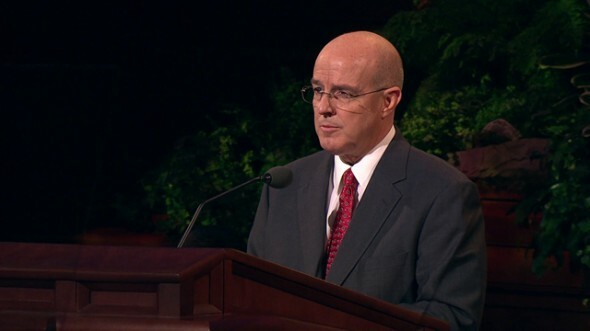 But the burden became too heavy, and stake presidents were given the responsibility. They have done a tremendous work in this regard. The president likewise becomes a second screen in determining the worthiness of those who go out to represent the Church in the mission field. He too interviews the candidate, and only when he is satisfied of his or her worthiness does he endorse the recommendation. He likewise has been given authority to set apart those called on missions and to extend releases when they have completed their service. 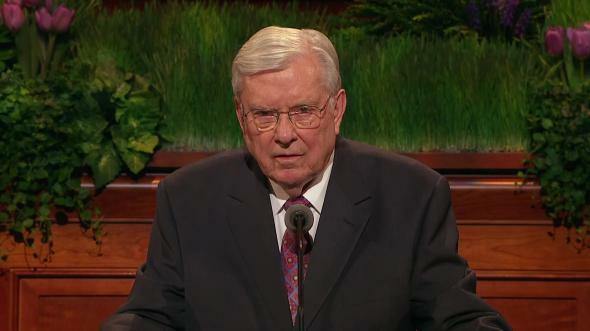 He carries the very heavy responsibility of seeing that the doctrine taught in the stake is kept pure and unsullied. It is his duty to see that there is no false doctrine that is taught nor false practice that occurs. 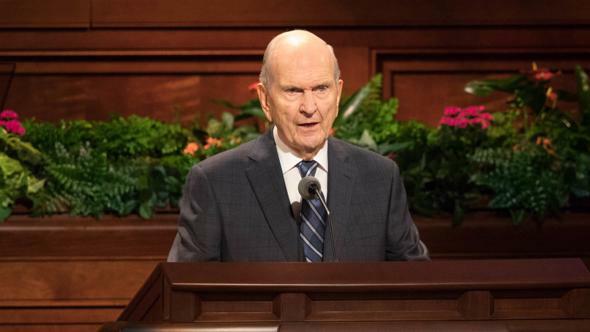 If there be any Melchizedek Priesthood holder out of line, or any other person for that matter, under some circumstances, he is to counsel with them, and if the individual persists in his or her practice, then the president is obliged to take action. He will summon the offender to appear before a disciplinary council, where action may be taken to assign a probationary period or to disfellowship or excommunicate him or her from the Church. This is a most onerous and unwelcome task, but the president must face up to it without fear or favor. All of this is done in harmony with the direction of the Spirit and as set forth in section 102 of the Doctrine and Covenants. Then subsequently he must do all he can to labor with and bring back in due time the one who was disciplined. All of this and much more comprise his responsibilities. It follows, therefore, that his own life must be exemplary before his people. 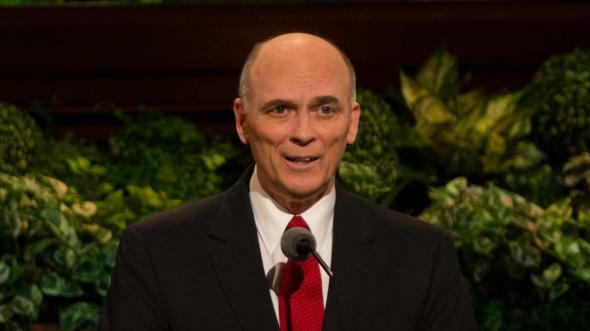 What a wonderful body of men comprise the stake presidents of this Church. Chosen by inspiration, they are most diligent in the pursuit of their duties. They are men of ability. They are men well schooled in the doctrines and practices of the Church. They are men of great faith. They are men who are called of the Lord to preside in the areas of their jurisdiction. I think I know a little about the office of stake president. My grandfather was one when there were only 25 stakes in the Church. 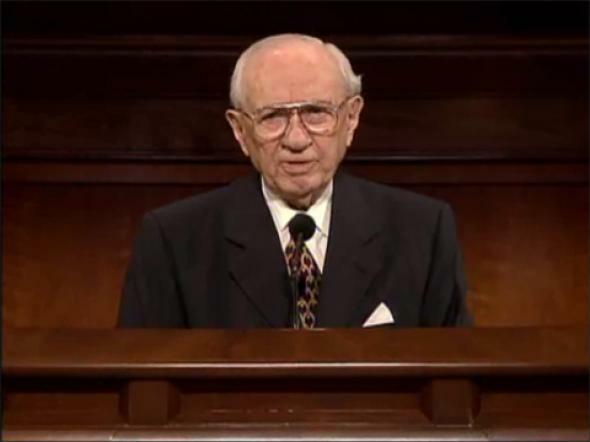 My father presided for years over the largest stake in the Church. 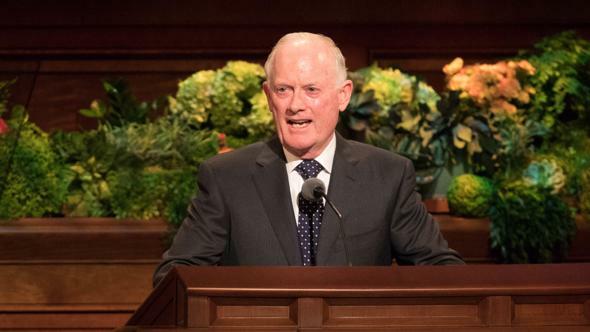 I served as a stake president before being called as a General Authority. 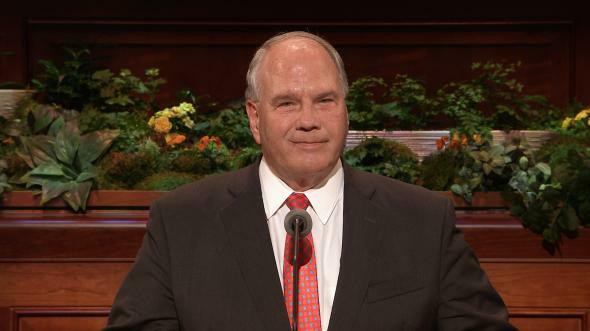 And one of my sons has just been released after nine years of service as a stake president. This represents four generations serving in this capacity. I have total confidence in the men who fill this office. Their duties are numerous, their responsibilities great. They recognize their own inadequacy, and I know that they pray for guidance and help. I know they study the scriptures to find answers. I know they place this work first in their lives. Because we have such confidence in them, we urge local members that they not seek out General Authorities to counsel with and bless them. 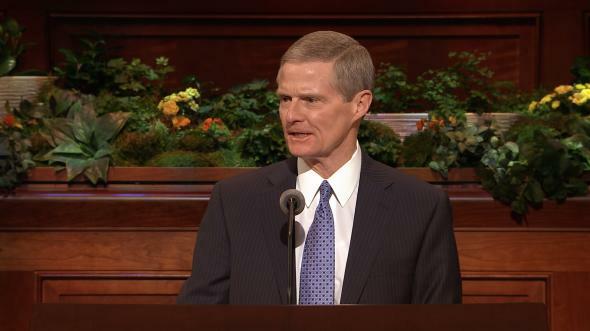 Their stake presidents have been called under the same inspiration under which the General Authorities were called. I pray for these, my beloved brethren, that the Spirit of the Lord will rest upon them. I pray that they may be inspired in their words, in their thoughts, in their actions. I hope their homes will be places of peace and love and harmony where they will draw inspiration for their work. I pray they will magnify and bless their wives and children, being the kind of husbands and fathers that will stand as examples for all of the people of their stakes. I hope that whatever their vocations, they may pursue them with honor and integrity, that they may be workmen worthy of their hire. I hope they will so live that they will merit the respect of those not only of our faith but of others with whom they may be associated. And when they have served well over a period of years and led their people in honor and love, the time will come that they are to be released. Their only reward will be the love of the people and the confidence of their Brethren. There is no other office in the Church quite like this office. 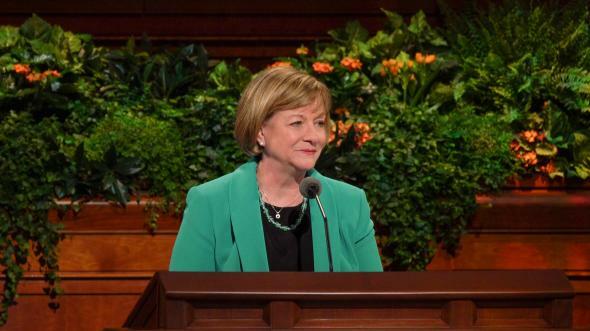 The president of the stake is close enough to the people to know them and love them. And yet, with his counselors, he stands aloof enough to deal objectively according to the will and pattern of the Lord. 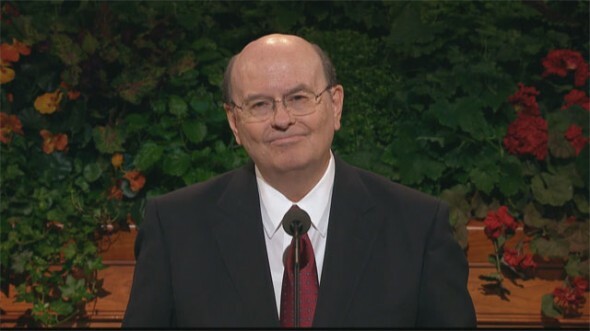 I pray that the rich and wondrous blessings of the Lord may be poured out upon these devoted brethren that they may be men of faith, men of inspired judgment, men of patience, men who love the Lord and who love His people. May they be happy, and may they find their reward in the satisfaction of having served well is my humble prayer in the name of Jesus Christ, amen.